The Church is not as united as Christ wants her to be. This is a historical fact and also a present reality. In biblical times, there are many examples of how God's people go their separate ways. The very first split between human beings mentioned in the Bible is the classic case of Cain and Abel over worship. Cain offered some of his crops to God while Abel gave the best of his firstfruits. Envious of God's acceptance of his brother's gift and not his, Cain schemed and slaughtered Abel. When questioned by God, he skirted the issue. In Genesis 13, we saw the first patriarch of Israel having to contend with family dispute with Lot. In order to prevent further tensions, Abram and Lot agreed to part ways as they could not get along (Gen 13:8-10). Family relationships are often the most difficult to resolve. Even King David right from the start had to contend with the problem of unity. Before his enthronement, Saul his predecessor tried to get rid of him. In his later years, he had to flee for his life because of a family mutiny. While his heart remained true to God, his own son failed to do the same, resulting in the split of the nation of Israel into Israel and Judah. The Early Church too had their share of disagreements and disunity. Paul and Barnabas disagreed so much that they had to go their separate ways (Acts 15:39). In his letters to various churches, Paul wrote about spiritual unity to the Romans, the Colossians, the Ephesians, and especially the Corinthians. In the Corinthian Church, the people were in so much disarray that everything seemed to be fodder for vicious contention. It led to quarrels over leadership (1 Cor 1:12). It came from spiritual immaturity (1 Cor 3:3). It caused suspicions of intent (1 Cor 4:18) and lukewarmness over immorality (1 Cor 5:1). Even the gifts of the Spirit were molded to become a showcase of human arrogance (1 Cor 12, 14). Out of the pain and heartache, Paul wrote one of the most beautiful passages on what it means to be spiritually united in 1 Corinthians 13. The great love chapter is not for weddings or romantic dinners. It was born out of a painful struggle over Church splits and a lack of spiritual unity. The key question for us this week is: What is spiritual unity and how can we be more united? I like to share from Bill Donahue's very insightful book (The Irresistible Community) about building spiritual community through the three Ts. These three Ts are very much the way of Jesus. We are united not because of what we think or feel. We are united because we are first called by God to the table. 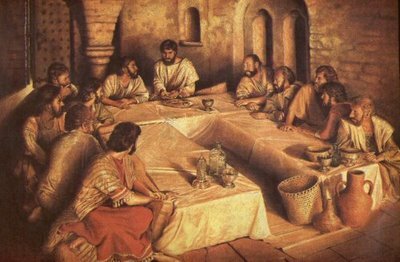 In the Last Supper, Jesus called all of his disciples (including Judas Iscariot) for a meal in which He blessed the bread and the wine, gave thanks, and offered them all for the disciples. The disciples did not earn it. They did not buy a ticket to enter the upper room. Neither did they persuade anyone to get a seat around the table. It was by invitation only, an act of grace. At the table, everyone was given the same bread and wine to partake. There were no class distinctions, no social separations, and no personal preferences. In an age of consumerism, every activity in the Church is threatened by the question asked by any member: "What's in it for me?" Contrast this with Jesus offering not only the bread and the wine but his life! Our starting point is the same, that we all have sinned and fallen short of the glory of God. There is none righteous among us. All of us have this in common: We need grace. Yet, there is a gross lack of grace in our churches today, even among churches that have word "grace" inked into their names. Someone I met recently was refused an opportunity to serve simply because she was divorced. Another left his Church and no longer attended because he felt the Church was hypocritical. Yet another was so disillusioned with Church that she walked away from Christ. At the table, Christ offered the elements for all sinners, and that includes you and me. It is one of the most inclusive symbols of unity. It is simple, easily available, and significant. It was at the communion table that Jesus too found a spirit of disunity among the disciples. Jesus brought the focus back to Himself. We are united at the table because of Christ, not anything else. Dispense with all kinds of personal principles or clever arguments. Do away with the need to raise our voices or to make our point. At the table, we are all equal. This is because the most common mark for all of us is this: We are all sinners and we come to the table to receive the grace of God. Any forms of leadership that ultimately benefit the self is self-serving. Servanthood is for others, just like Christ who offered his own life up for us. Servanthood is about putting the interest of others above ourselves. The reason why there is so much disunity in churches is because people have largely failed to give up their own personal vendettas for the sake of the larger body. Pride and a lack of faith are two of the most powerful missiles to torpedo the leader. 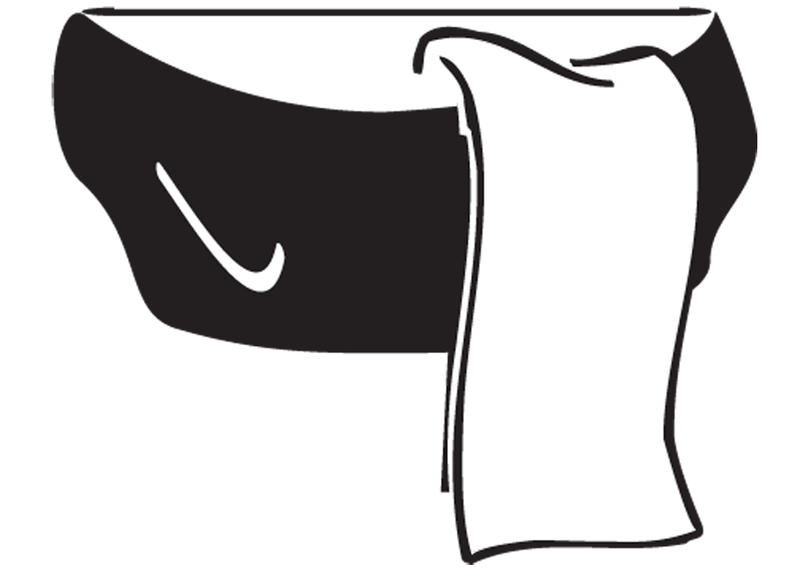 The towel is a powerful symbol of servanthood. In washing one another's feet, the towel makes us stoop below the level of the people we serve. We willingly dip and rinse the towel in clean water like a domestic helper. We wash the smelly feet of individuals with care even if it means dirtying our own hands. When church leadership becomes like the Pharisees of the first century, people will stick to rules and regulations more than the needs of the people. Service for God means taking care of the needs of individuals, doing good whenever we can, even if it happens on the sabbath. What does it mean to be one body? Does it mean any of the following? 1) Everyone clapping and raising hands together? 2) Everyone doing the same thing at the same time? 3) Everyone gyrating and moving together as one? 4) Everyone nodding their heads in the same direction? These are nice, but very superficial. What's biblical togetherness is summed up in Ephesians 4:25: "Therefore each of you must put off falsehood and speak truthfully to your neighbor, for we are all members of one body." Now, everyone can behave as if they LOOKED like one body. Not everyone can speak truthfully. For there are many places where people prefer to shy away from speaking the truth, just to keep the atmosphere nice, cosy, and non-controversial. Speak the truth, even when it means there are people who are uncomfortable about the truth. It is not easy to speak the truth. It can ruffle feathers and make people very uncomfortable. Often, people would say, "Truth hurts." I would reply, "Not telling the truth hurts more." There is no greater unity than telling the truth in love. Church leaders that come to the same conclusions may not necessarily be united. Think about those cult groups that enforce uniformity of thought and discipline. For organizations like that, there is a whip or a leash to ensure that everybody keep to the same format, the same pattern, and the same opinions. There is no diversity, only conformity. Likewise, Church leaders that have diverse opinions are not necessarily divided. At the Pentecost, everyone spoke different languages but were all speaking because the Spirit enabled each and every one of them (Acts 2:4). Spiritual unity must be initiated and sustained by the Holy Spirit. Common ideas are good. Making the same decision together is also commendable. Yet, all of these human actions and decision making devices, if they are man-made, ultimately, they will fall apart. It is only in Christ, and the unity of the Spirit that will hold things together (Col 1:17). Let us do what we can to cultivate communities of spiritual unity. Begin with the TABLE in recognition that we are all sinners needing grace. Embark upon a Christian life of service with a TOWEL to humble ourselves before others and simply do our best, use our gifts, and our talents to bless others. At all times, learn to be truthful in love. For Jesus is the TRUTH. Philip Yancey makes a powerful observation of a really gracious community in an article in Christianity Today.